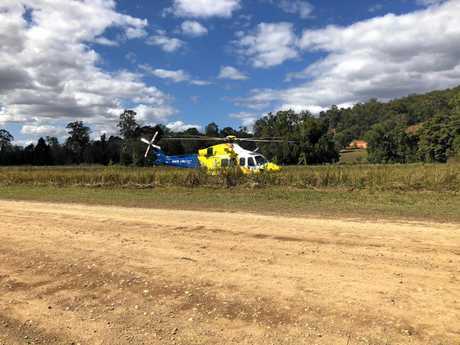 Skydiving accident near Gympie: A 59-year-old man who crash-landed into a tree and reportedly fell more than 10 metres (30 feet) to the ground near a festival at Kandanga Creek has been airlifted to Sunshine Coast University Hospital with head injuries. 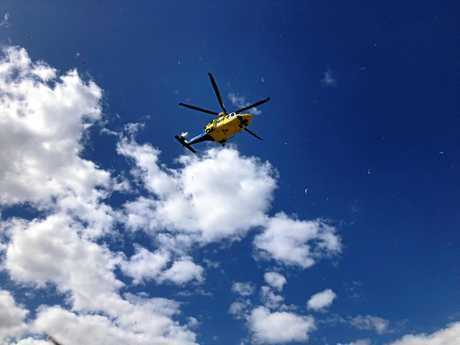 THE sky-diver who fell 10m from the top of a tree at Kandanga Creek on Saturday was discharged from hospital yesterday. A Sunshine Coast University Hospital spokeswoman could not give details of the 59-year-old man's injuries, but confirmed he had left the hospital. A Queensland Ambulance Servoce spokesman said on Saturday the man suffered head injuries from the fall. A QAS spokeswoman specified the man did not lose consciousness at all throughout the incident and its aftermath. She said he had hit the tree "at some force" and fell about 10 metres to hit the ground. The man suffered head injuries and was taken to Sunshine Coast University Hospital for further treatment. 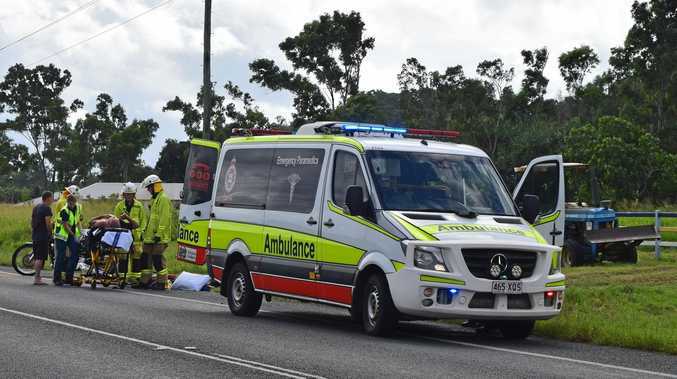 In Rainbow Beach, a two members from a "group of motorcycle enthusiasts" were taken to Gympie Hospital after crashing while riding near the Leisha track. A woman suffered a fractured wrist and hip pain, while a 59-year-old man sustained a back injury. A Queensland Fire and Emergency Service officer at the scene said the incident occurred during a skydiving demonstration. "Three skydivers proceeded to land and one (59-year-old male) got caught up in a pine tree by the flag that he was trailing," he said. "He cut that flag free and proceeded to drop slowly to the branches and he actually hit the ground. "We were dispatched because he was caught in the tree but he managed to free himself enough to drop to the ground." 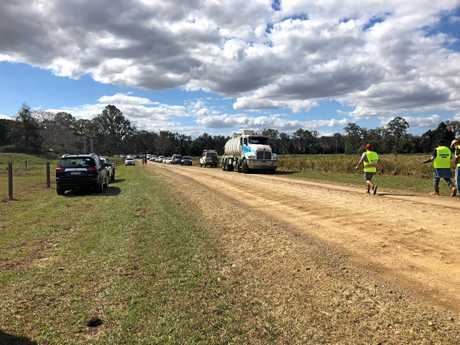 A Mitchell Creek Rock 'N' Blues Festival event organiser said emergency procedures were implemented immediately and emergency services were quick to respond. 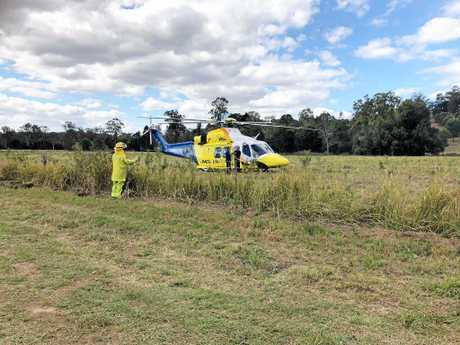 A 59-year-old man who crash-landed into a tree and reportedly fell more than 10 metres (30 feet) to the ground near a festival at Kandanga Creek has been airlifted to Sunshine Coast University Hospital with head injuries. 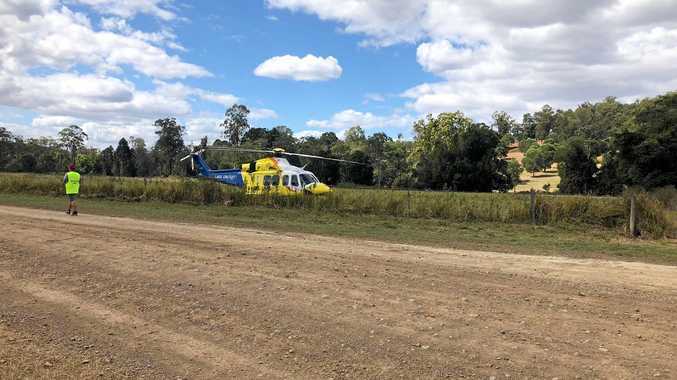 A Queensland Fire and Emergency Service officer at the scene said the man lost consciousness and suffered a concussion after becoming stuck in the tree, cutting himself loose and falling to the ground. Queensland Ambulance Service officers performed first aid at the scene. A QAS spokeswoman said a female patient was also treated for mild injuries at the scene after a tree branch struck her on the head. The spokeswoman could not confirm whether or not the two incidents were related. QAS crew members arrived at the Mitchell Creek address, where the Mitchell Creek Rock 'N' Blues festival is taking place, after receiving initial reports of the incident at 12:33pm. A reporter at the scene said the skydiving accident had been meant as a promotional event for the festival. Elsewhere around the region QAS crews were kept busy by two separate dirtbike-related incidents at Rainbow Beach and Goomboorian in the early afternoon. Two patients were treated for minor but unspecified injuries. The Rainbow Beach incident required the patient to be brought into the vicinity of the local surf club after the incident occurred on a trail. A SKYDIVER has reportedly crash landed into a tree and fallen more than 10 metres (30 feet) to the ground at Kandanga Creek early this afternoon. Emergency service crews are currently on the way to the scene at Mitchell Creek Rd, where it's believed the jumper landed in the tree and fell to the ground at around 12:33pm. A QAS Media spokeswoman said the man was thought to be conscious but could not confirm his condition as crews were on route. This is a developing story. More information as it comes to hand.